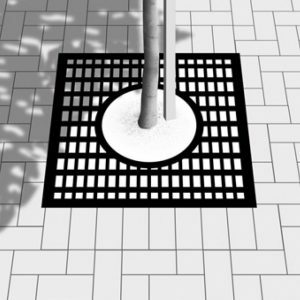 The segments of this tree grid may be bolted together—hole diameters10mm. 30x30mm galvanised angle iron sub frame available. Optional sub-frame specifications: 1025 or 1225mm sq. o/d. 30 x 30mm angle, 5mm typ. wall. Galvanised finish.